New Delhi, 06 Nov 2018 [Fik/News Sources]: Jalaluddin, a Pakistani national who was released after 16 years from Varanasi Central Jail on Sunday, took home Bhagavad Gita with him. He was arrested from Varanasi’s Cantonment area with suspicious documents and is now on his way back to Pakistan. The police had recovered maps of the Cantonment area and other important places from him and he was sentenced to 16 years of imprisonment. Ambrish Gaud, the Senior superintendent of Varanasi Central Jail told the media that in 2001, he hailed from Sindh region in Pakistan, and was arrested from the Cantonment area. He was nabbed near the Air Force office by the police with some suspicious documents. “He was imprisoned under the Official Secrets Act and Foreigner’s Act. He has been handed over to the local police. He has taken a copy of (Bhagavad) Gita with him,” said Mr Gaud. “When he was arrested, he had only graduated from high school. He completed his intermediate and did his MA from Indira Gandhi National Open University. He also undertook an electrician course as well in the jail. He had been an umpire in the jail cricket leagues for the last three years,” he added. 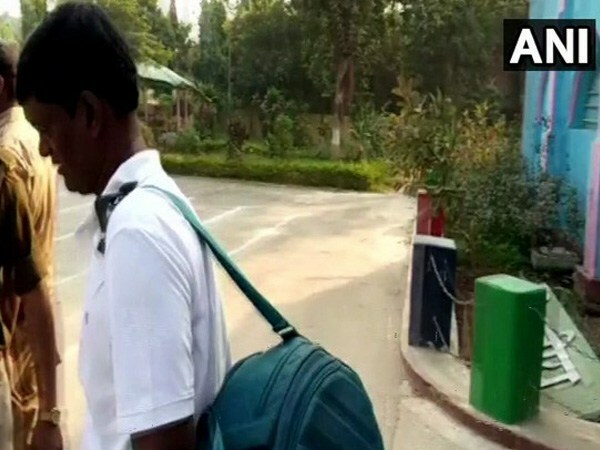 A team of a special police force has taken him to Amritsar, from where he will be handed over to concerned authorities at the Wagah-Attari border, after which he will return to his homeland.